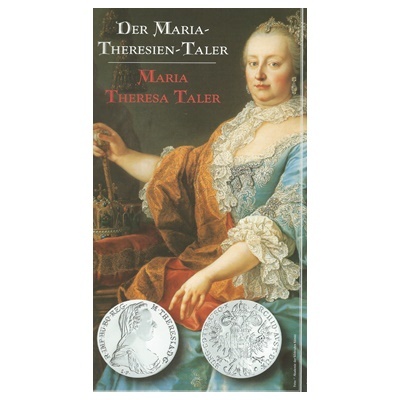 This coin is an official restrike of the 1780 Maria Theresa Taler made at the Austrian Mint in Vienna and authorised under Australian Law. The obverse shows a portrait of the Empress wearing the widow's veil with an inscription in Latin reading: Maria Theresa, by the Grace of God Empress, of Hungary and Bohemia Queen. The reverse displays the imperial double-headed eagle with the Austrian shield in the centre with the quarters for Hungary, Bohemia, Burgundy and Burgau. The inscription reads: Archduchess of Austria, Duchess of Burgundy, Countess of Tyrol 1780. The coin is beautifully presented in a colourful information pack.